Utterly surprised after posting Australian Organic Honey bought from Aldi Store on my @queenofthenight Instagram account. Unexpectedly it stirred up some #vegans that #honey is not vegan... LOL. Arguing the point would be pointless for honeyeaters especially on the quest of #organic products among our #gmo or the #geneticallymodified world we live in! My household eats honey, but I also plant flowers, vegetables to flowers and fruit trees to flowers using organic and non-chemical sprays to balance our gardening environment. Genesis 43:11 Their father Israel said to them, "If so, here-and-now, do this: Take the finest articles in the land and descend to the man a food gift with a little balm, a little honey, resins, carob, pistachios and almonds. Exodus 3:8 I will descend to deliver them from the hand of the Egyptians, and ascend them from that land to a good land: A large land issuing milk and honey; to the place of the Canaanites and the ironsmiths: from Central-Syria, North-Jordan, the West-Bank and Jebus (Jerusalem). Ex 3:17 "I said I would ascend you from the humiliation of Egypt to the land of the Canaanites and ironsmiths: from Central-Syria, North-Jordan, the West-Bank and Jebus (Jerusalem), into a land issuing milk and honey. Ex 13:5 It will be: Yahweh will bring you into the land of Canaan, Central-Syria, North-Jordan, the West-Bank and Jebus (Jerusalem). He swore to your fathers to give you a land issuing milk and honey. Serve this service in this month. Ex 16:31 The house of Israel called the name 'manna'. It was like white coriander seed, with the taste of flat cakes made with honey. Ex 33:3 from the land issuing milk and honey.' I will not ascend in your centre, for you are people with a hard backbone. Otherwise, I will finish you in the way." Leviticus 2:11 Never make a food gift with leaven to offer to Yahweh: Never incense yeast and any honey in Yahweh's fire. Le 20:24 But I said to you, 'Possess their property.' I gave it to you to possess it, a land issuing milk and honey. I am Yahweh your God, which separated you from the people. Numbers 13:27 They accounted to him saying, "We came into the land that you sent us. It issues milk and also honey, and this is its fruit! 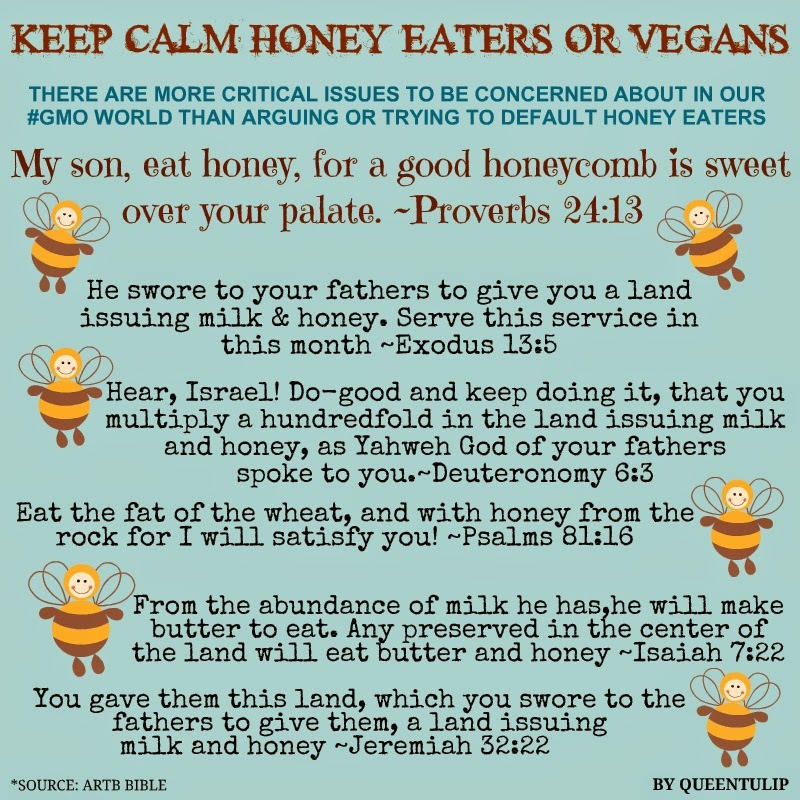 Nu 14:8 If Yahweh pleasures in us, he will bring us into this land and give it to us, a land that issues milk and honey! Nu 16:14 and never even brought us into a land issuing milk and honey, to give us the inheritance of fields and vineyards. 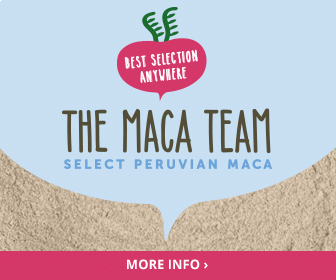 You pecked the eyes of these men! We will not ascend." Deuteronomy 6:3 Hear, Israel! Do-good and keep doing it, that you multiply a hundredfold in the land issuing milk and honey, as Yahweh God of your fathers spoke to you. Dt 11:9 Therefore you will lengthen your days over the property which Yahweh swore to your fathers to give to them and to their seed: a land issuing milk and honey. Dt 26:9 He brought us into this place and gave us this land, a land issuing milk and honey. Dt 26:15 Overlook from your sanctuary habitation from heaven, and bless your people Israel, and the property which you gave us, as you swore to our fathers, a land issuing milk and honey." Dt 27:3 Write over them all the words of this Torah when you pass. Therefore you will come into the land which Yahweh your God gives you, a land issuing milk and honey as Yahweh God of your fathers spoke to you. Dt 31:20 When I proceed them into the property issuing milk and honey which I swore to their fathers, they will eat and satisfy with butterfat. But they will face to other gods and serve them, abusing me, and voiding my covenant. Jos 5:6 For not hearing the voice of Yahweh, the sons of Israel went forty years in the wilderness until all the men of war in the nation proceeding from Egypt finalized. Yahweh swore that they would not see the land which Yahweh swore to give to their fathers, a land issuing milk and honey. Judge 14:8 In the days he returned to take her, he turned to see the fall of the lion and beheld a congregation of bees and honey in the body of the lion. Ju 14:9 He managed it into his palms, and ||went|| eating. He went and gave it to his father and to his mother, and they ate. But he never told them that he managed the honey from the body of the lion. Ju 14:18 The men of the city said to him on the seventh day before the sun came down, "What is sweeter than honey? What is stronger than a lion?" He said to them, "Unless you plowed with my heifer, you would not find my riddle." 1Samuels 14:25 All of the land came to a forest facing a field that had honey. 1Sa 14:26 The people came into the forest and beheld a nomad with honey! But no man's hand claimed any into his mouth, for the people feared the oath. 1Sa 14:27 But Jonathan never heard his father swearing to the people. He sent the end of the rod in his hand and dipped it in the forest honey. Returning his hand into his mouth, his eyes enlightened. 1Sa 14:29 Jonathan said, "My father befouls the land! Please see that my eyes enlightened when I tasted a little of this honey. 1Sa 14:43 Saul said to Jonathan, "Tell me what you did!" Jonathan told him, saying, "I ||tasted|| a little honey with the end of the rod in my hand. I will die here." 2Sa 17:29 honey, butter, sheep, ox, and cheese for David and for the people with him to eat. They said, "The people are hungry, tired, and thirsty in the wilderness." 1Kings 14:3 Take in your hand ten bread crusts, and a container of honey to bring to him. He will tell you what the lad has." 2Chronicles 31:5 The word multiplied, and the sons of Israel burst with the first grain, new-wine, virgin-oil, honey, and all the produce of the field. They brought a tithe of all in abundance. Job 20:17 "He will never see the subdivisions of the rivers to the riverbeds of honey and butter. Psalms 19:10 desired as fine-gold, much fine-gold, and sweeter than the honey nectar of the honeycomb. Psalms 81:16 "Eat the fat of the wheat, and with honey from the rock for I will satisfy you!" Ps 119:103 What a savor your sayings are to my palate: honey to my mouth! Proverbs 16:24 Pleasant sayings are as honey nectar, sweet to the soul, and a remedy to the bones. 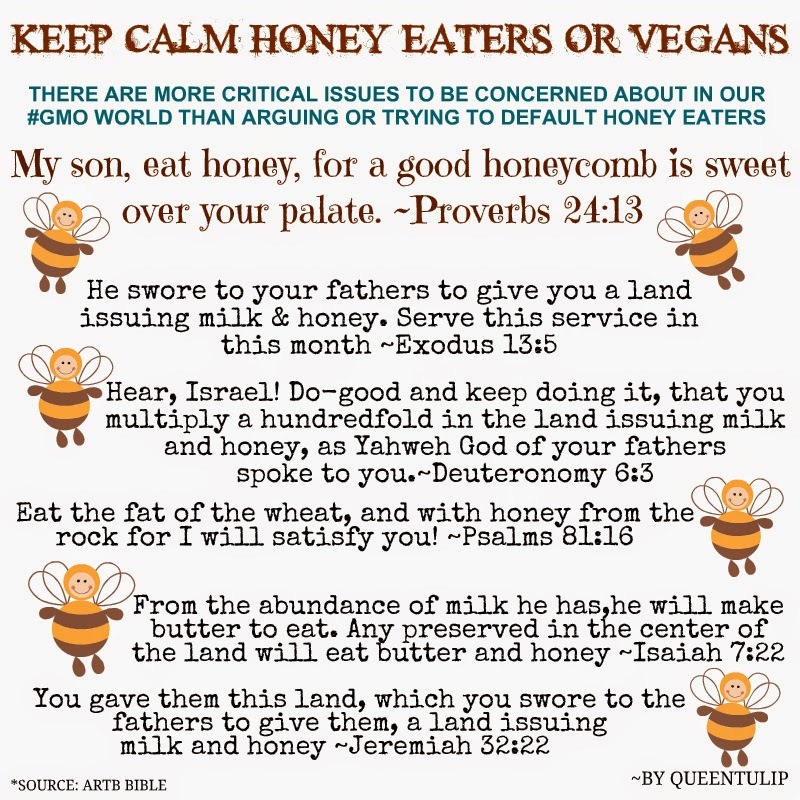 Pr 24:13 My son, eat honey, for a good honeycomb is sweet over your palate. Pr 25:16 You found honey? Eat enough to satisfy, otherwise you will vomit. Pr 25:27 Multiplying the honey eaten is no better than the honored questioning honor. Song 4:11 Your lips, my bride, drip as the honeycomb with the milk of honey under your tongue. The scent of your garments is scented as Lebanon. Song 5:1 "I come to my garden, my sister, my bride. I forage for my myrrh and spice, I eat the honey of the forest and I drink wine with milk. Eat, neighbor! Drink to drunken, beloved!" Isaiah 7:15 He will eat butter and honey, and know to reject evil and choose good. Is 7:22 From the abundance of milk he has, he will make butter to eat. Any preserved in the center of the land will eat butter and honey. Jeremiah 11:5 Therefore this day I will raise the oath which I swore to your fathers, to give them a land issuing milk and honey." I answered and said, "Amen, Yahweh!" Jer 32:22 You gave them this land, which you swore to the fathers to give them, a land issuing milk and honey. Jer 41:8 But ten men found from them said to Ishmael, "We will not die, for hidden-treasures exist in the fields of wheat, barley, oil, and honey." He ceased, and they did not die amidst their brothers. Ezekiel 3:3 He said to me, "Son of Adam, fill your bowels with this scroll that I give you for your belly to eat." I ate and it was sweet honey in my mouth. Ez 16:13 You ornamented in gold and silver, and your clothes were fine-linen, brocade, and embroidery. You ate flour, honey, and oil. You beautified a ||hundredfold|| and prospered in the kingdom. Ez 16:19 My bread of flour, oil, and honey which I gave you to eat: You have given it in front of them with an aromatic scent!" declares the Lord Yahweh. Ez 27:17 "Judah, and the land of Israel, were your merchants. They gave in your markets wheat from Minnith, millet, honey, oil, and balm.